The Charting Chipeling project was a volunteer-led archaeological investigation of the grounds of Kiplin Hall in North Yorkshire. Through the course of 2014, local volunteers and schoolchildren undertook research, survey and excavation, piecing together the different stands of evidence. 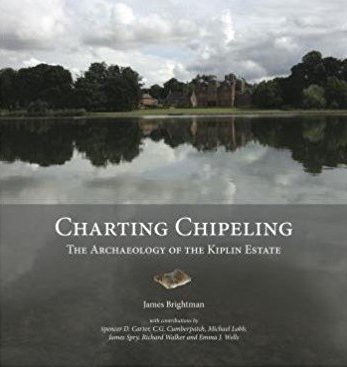 The story of the Charting Chipeling project is told in this volume, charting the growth of an estate from its origins as medieval grange, through the dynamic expansion of the 18th century, to its height as a Victorian country seat. Emma penned the chapters ‘Kiplin Through the Archives’ & ‘Historic Buildings Analysis’. Published by Solstice Heritage, 2017.